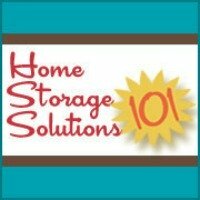 It seems we are all searching for more storage solutions in our home, to put all kinds of things we want to store, but still want accessible when we need them. One of the reason storage ottomans are so popular for this purpose is that they actually do two things -- they can store items for you, and they also act as a nice piece of furniture for sitting on, or putting up your feet. The bench shaped ottomans can also serve as a kind of coffee table too. 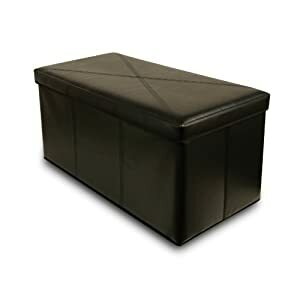 Those looking for more storage for things like quilts and blankets, toys and games, remote controls and other entertainment related stuff, may like this larger size of ottoman. Please note that these bench ottomans are relatively large, and you should always check the dimension of the product you are thinking of, compared both to the space you have available, and also for what you anticipate storing in there to make sure what you want will fit. In addition to the product featured above, there are many other popular colors and types of these storage benches available. Here are some additional possibilities for you to choose from, each with slightly different storage capacities, sizes and other features. In addition, if you are looking for a smaller storage space, you may want to check out a cube storage ottoman as another possibility.